Eleonore von Hohenzollern was born on 12 August 1583. She was the daughter of Albrecht Friedrich Herzog in Preußen and Marie Eleonore von der Mark-Kleve. She married Joachim Friedrich Kurfürst von Brandenburg, son of Johann Georg Kurfürst von Brandenburg and Sophie Prinzessin von Liegnitz, on 23 October 1603. She died on 31 March 1607 at age 23. Charles IX, Roi de France was born on 27 June 1550 at Saint-Germain-en-Laye, Île-de-France, FranceG. 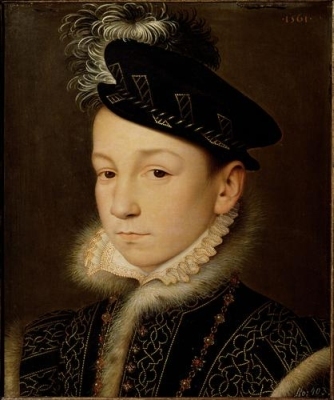 He was the son of Henri II, Roi de France and Catherine de Medici.1 He married Elisabeth Erzherzogin von Österreich, daughter of Maximilian II von Habsburg, Holy Roman Emperor and Maria von Habsburg, Infanta de España, on 26 November 1570. He died on 30 May 1574 at age 23 at Vicennes, FranceG. He was buried at Saint-Denis, Île-de-France, FranceG. Henri III, Roi de France was born on 19 September 1551 at Fontainebleau, Île-de-France, FranceG. 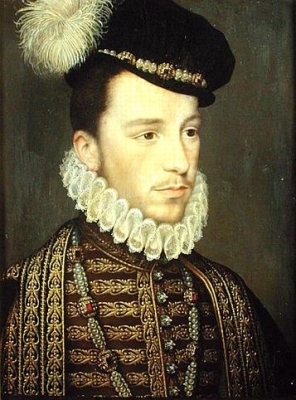 He was the son of Henri II, Roi de France and Catherine de Medici.1 He married Louise de Lorraine-Vaudémont, daughter of Nicholas de Vaudémont, Duc de Lorraine-Mercouer, on 15 February 1575. He died on 2 August 1589 at age 37 at Paris, FranceG, murdered.3 He was buried at Saint-Denis, Île-de-France, FranceG. He was a member of the House of Angoulême.1 He was given the name of Edouard-Alexandre at birth. He succeeded as the King Henry III of Poland in 1573.3 He succeeded as the Roi Henri III de France on 30 May 1574.1 He was deposed as King of Poland in 1575. Charles d'Orléans, Duc d'Angoulême was born in 1459. He was the son of Jean d'Orléans, Comte d'Angoulême and Marguerite de Rohan. He married Luisa Principessa di Savoia-Piedmonte, daughter of Filippo II, Duca di Savoia and Marguerite de Bourbon, on 16 February 1487 at Paris, France.1 He died on 1 January 1496 at Chateauneuf-en-AngoumoisG. He gained the title of Duc d'Angoulême. Jean d'Orléans, Comte d'Angoulême was born on 26 June 1404. He was the son of Louis de Valois, Duc d'Orléans and Valentine Visconti.1 He married Marguerite de Rohan, daughter of Alain IX de Rohan, Vicomte de Rohan and Marguerite de Montfort, on 31 August 1449. He died on 30 April 1467 at age 62. She gained the title of Princess Margaretha of Sweden.1 From 30 June 1964, her married name became Ambler. 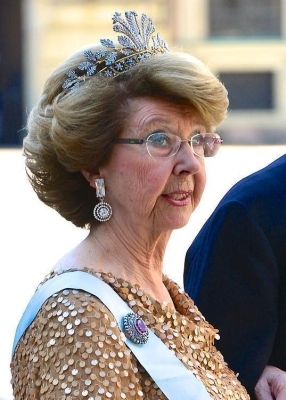 She gained the title of Princess Birgitta of Sweden. Desiree Elizabeth Sibylla Bernadotte, Princess of Sweden was born on 2 June 1938 at Haga, Stockholm, SwedenG. She is the daughter of Gustaf Adolf Oscar Frederik Arthur Edmund Bernadotte, Hereditary Prince of Sweden and Sibylla Calma Marie Alice Bathildis Feodora Prinzessin von Sachsen-Coburg und Gotha. 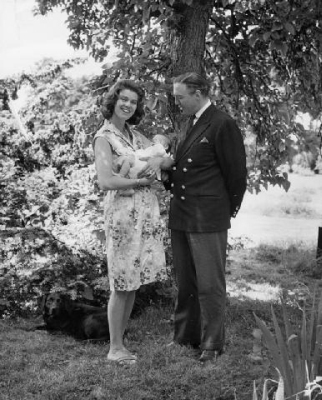 She married Niels-August Otto Carl Nicolas Silfverschiold, Baron Silfverschiold, son of Carl-Otto Silfverschiold, Baron Silfverschiold and Elsa Madeleine Bennich, on 5 June 1964 at Stockholm, SwedenG. 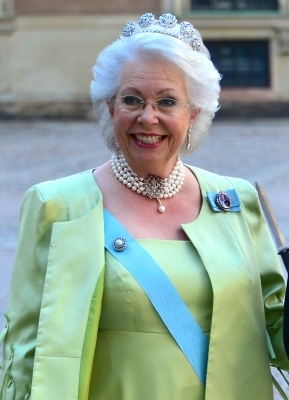 She gained the title of Princess Desiree of Sweden. Christina Louise Helen Bernadotte, Princess of Sweden was born on 3 August 1943 at Haga Castle, Stockholm, SwedenG.2 She is the daughter of Gustaf Adolf Oscar Frederik Arthur Edmund Bernadotte, Hereditary Prince of Sweden and Sibylla Calma Marie Alice Bathildis Feodora Prinzessin von Sachsen-Coburg und Gotha. She married Tord Gosta Magnusson, son of Tord Lennart Magnusson and Gerta Ingrid Klemming, on 15 June 1974. 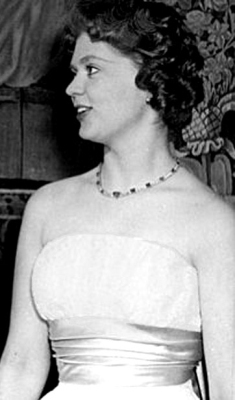 She gained the title of Princess Christina of Sweden. Peter I Karageorgievich, King of Serbia was born in 1844.2 He was the son of Alexander Karageorgievich, Prince of Serbia and Persida Nenadovich.2 He married Zorka Ljubica Petrovic-Njegoš, Princess of Montenegro, daughter of Nikola I Petrovic-Njegoš, King of Montenegro and Milena Vukotic, in 1883.2 He died in 1921.